Blog - How Innovative Are Your Health and Safety Practices? How Innovative Are Your Health and Safety Practices? Some are used to tutting at health and safety laws, viewing them as finger-wagging and micromanagement that has started dominating our lives, from the workplace to just walking down the high street. But in industries where the hazards and dangers are very much real, health and safety regulation is necessary and enforced. CIPD’s People Management magazine recently published a case study into Stadco, an automotive supplier, and their attitude to health and safety. Rather than it being a bugbear for the workforce, and reluctantly followed, they abandoned the huge written rule book and decided to change people’s behaviour on the factory floor instead. HR Director Heath Cade wanted to find out “what makes someone want to wear (protection equipment)”, rather than just threaten to slap people’s wrists for not wearing it. He decided that changing the culture of the workplace, and encouraging colleagues to remind each other, and various visitors to the factory, what was safe and what wasn’t. A survey conducted by the Government appointed Health and Safety Executive (HSE) in 2010 found that using Worker Safety Advisors (WSAs) to educate both staff and employers, even if their organisation has previously “lacked formal arrangements for managing health and safety”. Companies who used the services of a WSA found that health and safety started to feature higher on the agenda of their staff meetings, becoming a standard addition to their daily operations. Their survey was aiming to find out how staff engagement and ‘worker involvement in health and safety (WISH) could make health and safety rules work on a practical level. Unfortunately, they found that worker involvement in WISH wasn’t a priority for many employers, many of which didn’t want to invest money in it. The survey found that only 10% of the workplaces surveyed were already instigating good practices. Businesses and industries that use IBCs might require them for hazardous chemicals and liquids. The Control of Substances Hazardous to Health Regulations (COSHH) brought in in 2002 outlines eight principles for employers to use as a guideline. These include taking into account the different types of exposure workers who deal with hazardous chemicals could experience, such as inhalation and contact with skin, and training all employees to understand the risks they may face if they’re negligent or careless with dangerous substances. 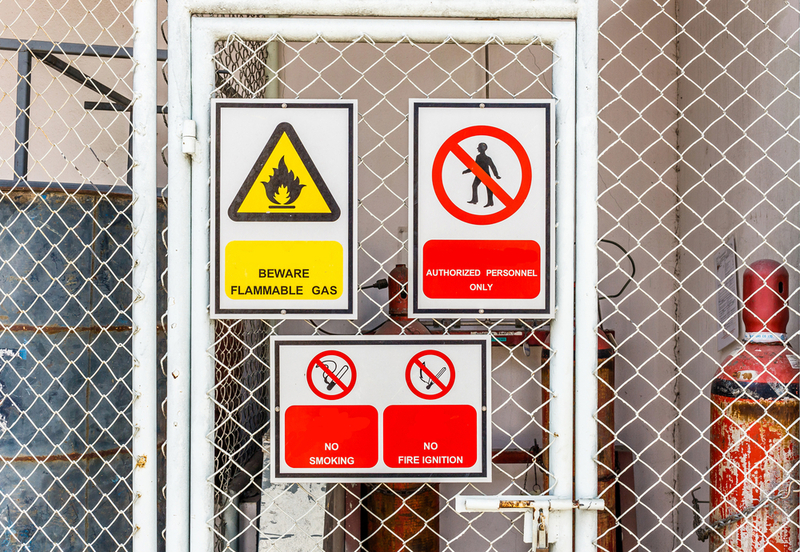 Ultimately, responsibility for the risks associated with hazardous materials in the workplace lies entirely with employers, who must assess the nature of the dangerous chemicals and substances in use and the risks that they carry. Only then can we hope to minimise the number of workplace accidents and injuries even further.